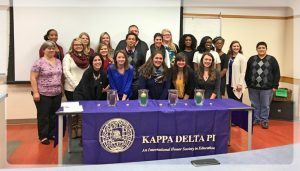 Kappa Delta Pi, the international honor society in education, recently added twenty-one new members to it’s Zeta Epsilon (UT) chapter. 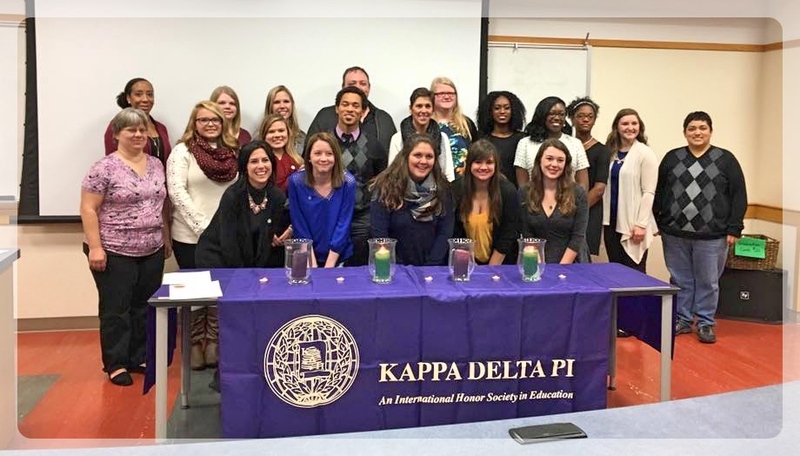 Membership into Kappa Delta Pi is by invitation only and is based on high academic achievement, commitment, and professional attitude. Congratulations to Allison Ahrens, Analese Alvarez, Alysse Augsburger, Akili Barnes, Kaela Bilski, Cassidy Boyden, Carmen Clarke-Davis, Angela Giovannucci, Jeremey Holloway, Elijah Jones, Kayla Justice, Karen Krepps, Brittany Layden, Jasmine Madison, Rebecca McVicker, John Meadows, Miranda Niese, Laura Nelson, Rebecca Roupe, Lexus Townsend, and Martha Verner. The groups faculty counselors are Drs. Susanna Hapgood and Judy Lambert.